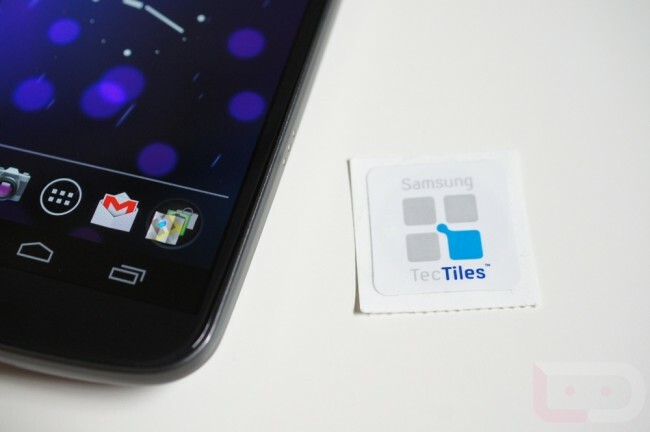 Last night, Samsung introduced their latest product to the market called TecTiles which are NFC stickers that can be programmed to help you accomplish tasks. Since we saw some confusion in the comments about how they are programmed, what kinds of things can you ask them to do, and if they are reprogrammable, we thought a video to help explain them was needed. Here you go! *Note – As one of our readers has pointed out, you are essentially programming the app to know what to do when pressed to a specific NFC sticker. When you tell the app what you want the NFC chip to do, you are actually programming the app to recognize this particular NFC sticker and then perform actions. This would be the reason you need this specific app installed on every device in order for that NFC sticker to do the correct action. It’s like the app is recognizing an NFC code that is specific to that sticker and then telling your phone what it should be doing. For other things like toggling WiFi, checking in somewhere on Foursquare, and launching an app, all require the TecTiles app to be installed.